Following the launch of our campaign to raise £10k for the passing loop feasibility study (see the post here) we have spent some time restructuring the costs and we have just launched a formal crowd funding campaign on SpaceHive. On the SpaceHive page you can see more details about what we are looking to do and see the progress we make towards our goal. With the launch of the SpaceHive campaign we are also releasing the following video and press release. Abbey Flyer Users’ Group launches a crowdfunding campaign to show the benefits of a second train running between St Albans and Watford. The campaign will focus on funding a study which will show the costs and benefits of a passing loop so that a higher frequency service can once again run on one of Hertfordshire’s most vital community rail links. 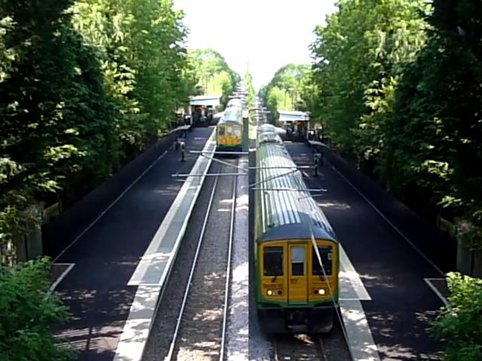 The Abbey Flyer Users’ Group’s crowdfunding campaign aims to highlight why there should be investment to enable a second train to run on the 6.5 mile railway line linking Watford Junction and St Albans Abbey stations, also known as the Abbey Line. A second train will significantly reduce the time between trains from the present 40 minutes to potentially just 20 minutes. With the journey by train taking just 16 minutes this can be much faster than by car which regularly takes over 35 minutes at busy times. The Abbey Flyer Users’ Group has long felt that the Achilles’ Heel of the line is the infrequent service. The group and the local transport authority believe that a train every 20 minutes will let people just “turn up and go” and will encourage them to switch from petrol or diesel powered cars to electric trains. The initial stage for the crowdfunding campaign is to identify the cost to enable the running of a second train between St Albans and Watford. The study will recommend where the passing loop should be and the costs to build it including signalling and potentially a second platform at Bricket Wood station. Based on the results of the study the Abbey Flyer Users’ Group will then be able to further their campaign for future funding to actually realise the vision. To get the initial study completed, the Abbey Flyer Users’ Group needs to raise £6,000 which will cover the costs to fund the minimum useful study possible. Further to this the Abbey Flyer Users’ Group have a number of stretch goals, each developing on the basic study and building towards a full business case highlighting the benefits of the investment for commuters and the wider community. The campaign already has pledges of support totalling nearly £2,000 from Abbey Flyer Users’ Group members as well as County Councillors Sandy Walkington and Stephen Giles-Medhurst. “This is the Cinderella railway line. With a bit of love and investment it could be transformed, delivering real benefits to one of the most congested corridors in Hertfordshire. I welcome anything which can unlock its potential”, Cllr Walkington commented. “This is a key line that could greatly reduce congestion between Watford and St Albans and not only needs but deserves investment to ensure long term green travel routes are maintained. Anything to improve it is welcomed and should be supported”, Cllr Giles-Medhurst said. “We have the opportunity to demonstrate what we firmly believe to be the case – that there is a demand for a higher frequency service on the Abbey Line and it can be delivered cost-effectively”, said David Horton, Chairman of the Abbey Flyer Users’ Group. “Although we are asking for money the support is equally important, the more interest we get the more people will listen to us and the more we can campaign for real improvements to be made. With the line being nearly 160 years old, what better way to celebrate than to bring the the Abbey Line firmly into the 21st century, but we can only do this with your help”, said Richard Haywood, crowd funding campaign co-ordinator.